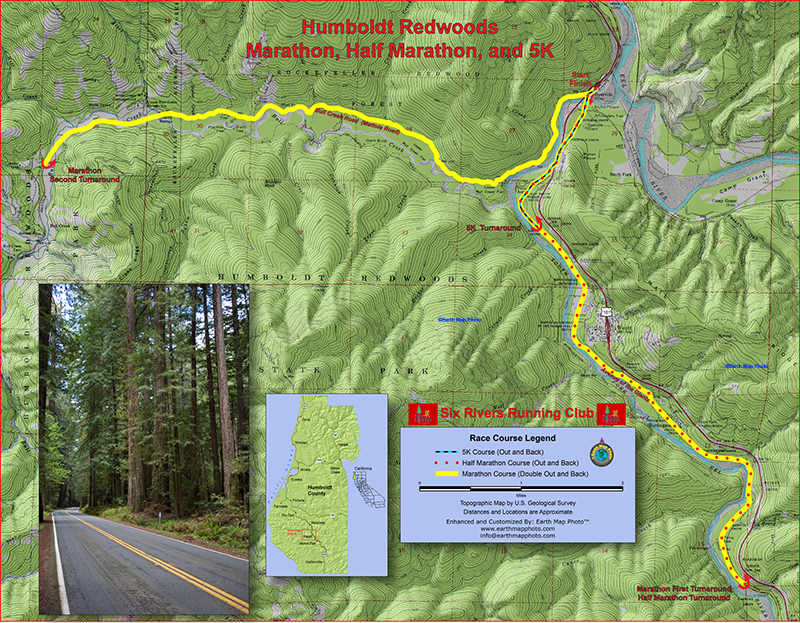 The Humboldt Redwoods Marathon, Half Marathon & 5K are located in the beautiful HUMBOLDT REDWOODS STATE PARK, about 200 miles north of San Francisco and 40 miles south of Eureka. 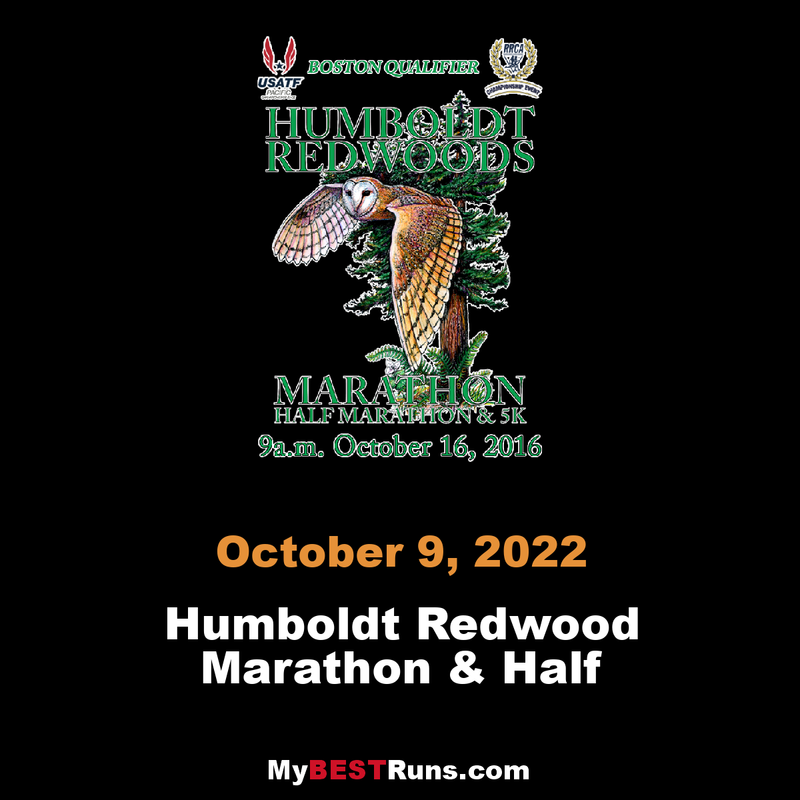 The marathon & half marathon start together (at 9am) at the Dyerville Bridge which is on the famous Avenue of the Giants near the majestic Founders Grove in Humboldt Redwoods State Park. All courses are fast, paved & shaded. All courses are USAT&F certified and the marathon is a qualifier for Boston. The courses are marked at every mile. There will be aid stations with electrolyte (Gatorade) replacement drinks and water approximately every 2.5 miles. Food will be available on the Marathon course near miles 17 & 22. There are no bikes, dogs, skateboards, skates, baby joggers, strollers or scooters allowed on the course. The use of headsets is discouraged. 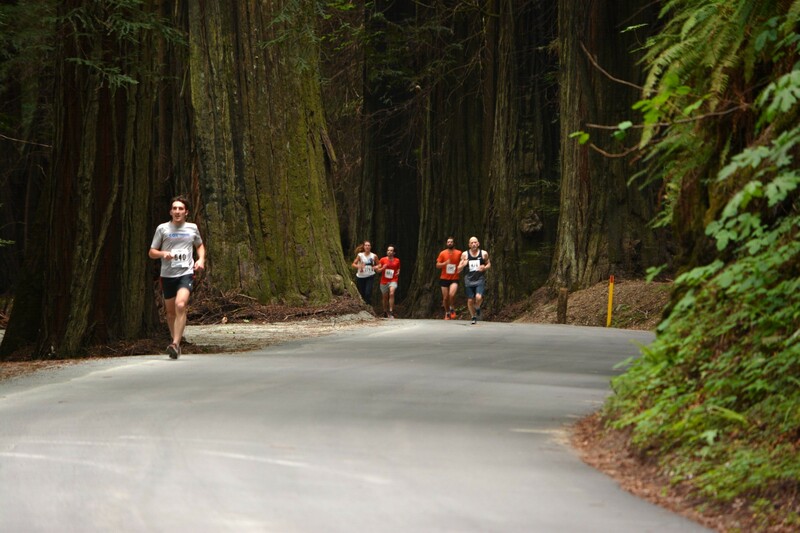 Because the races are held in an undeveloped forest area, no showers or dressing facilities are available.